Policies | Automotive Scientific Inc. 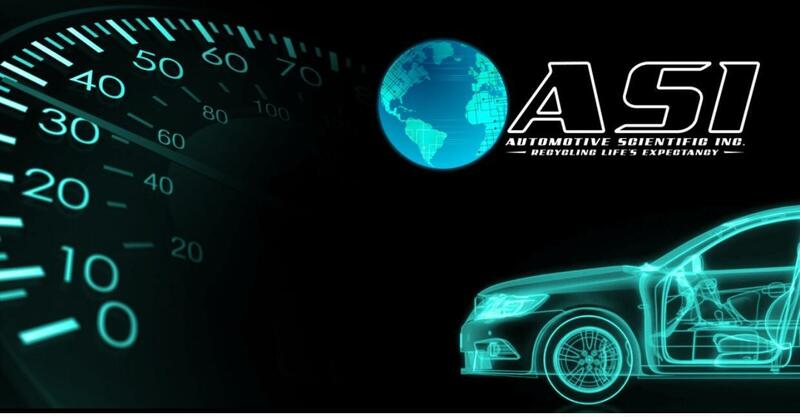 Unless otherwise specified, all materials appearing on this site, including the text, site design, logos, graphics, icons, and images, technical information and knowledge base info as well as the selection, assembly and arrangement thereof, are the sole property of this Store (www.autoecu.com)., Copyright 2014, or their respective owners ,ALL RIGHTS RESERVED You may use the content of this site for the purpose of shopping , placing an order and for no other purpose. No materials from this site may be copied, reproduced, modified, republished, uploaded, posted, transmitted, or distributed in any form or by any means without our prior written permission. All rights not expressly granted herein are reserved. Any unauthorized use of the materials appearing on this site may violate copyright, trademark and other applicable laws and could result in criminal or civil penalties. We accept Visa ,MasterCard ,Discover, Paypal,in U.S. Dollars only. Orders are not processed until funds have cleared . A Charge of $75 is due on any returned check. Your receipt of an electronic or other form of order confirmation does not signify our acceptance of your order, nor does it constitute confirmation of our offer to sell. A.S.I. reserves the right at any time after receipt of your order to accept or decline your order for any reason or to supply less than the quantity you ordered of any item. These Conditions will supersede any terms and/or conditions you include with any purchase order, regardless of whether A.S.I. or its representatives, employees or agents signs them or not. We reserve the right to make changes to this site and these Conditions at any time. We will ship your product as it becomes available. Usually, products ship the same day if ordered by 1:00 PM , or by the next business day, if your order is received after this time and for orders received on Saturday, Sunday or any major holiday. However, there may be times when the product you have ordered is out-of-stock or back ordered which will delay fulfilling your order. We will keep you informed of any products that you have ordered that are out-of-stock and unavailable for immediate shipment. You may cancel your order at any time prior to shipping. Any shipped & refused orders please refer to our return policy. Automotive Scientific, A.S.I. will keep your personal information private and secure. When you make a purchase from our site, you provide your name, email address, credit card information, address, phone number, and a password. We use this information to process your orders, & to keep you updated on your orders and to personalize your shopping experience. We Reserve the right to Repair an A.S.I. product or Service prior to Refund Consideration, If the part is not repairable a replacement will be offered at an additional cost. Returned damaged & non rebuildable. Part was altered or Tampered with thus rendering it non rebuildable. Warranty Void Label(s) tampered with. When returning a part for Refund from a Repurchase a Prorated Fee will be incurred after 15 Days for the time it was in service based on the length of the original Warranty . We accept returns, except in the following cases , Part was Installed Improperly, Part was altered or tampered with, Warranty Void Label(s) were tampered with, Part was returned from someone other than the original purchaser. Parts come Shrink Wrapped, when the Shrink Wrap is removed, We Reserve the right to Repair or Exchange only . We cannot guarantee when an order will arrive. Consider any shipping or transit time offered to you by A.S.I. or other parties only as an estimate. We encourage you to order in a timely fashion to avoid delays caused by shipping or product availability. Our Store shall automatically charge the applicable sales tax for products to be delivered to addresses within the same State. For the purchase of products from our Store and shipped to other states, you are solely responsible for all sales taxes or other taxes for your State. Repair Services provided to your product in the State of Tennessee and Hawkins County are taxable at the current State Sales Tax rate of 7% & an additional County Rate of 2.75% equaling 9.75% total , This Sales Tax is charged to the final cost of all Repair Services conducted in the State of Tennessee. All products purchased on our Website are with Exchange we will ship a remanufactured part which will include a Pre paid return label this label assists you to return your Core in a timely manner which we expect within 15 Days of receiving the remanufactured Part, this Pre-return label is valid within the "Continental USA only" and will only be issued with the contents of the ordered part. Core Refunds are processed at 30 Business Day Intervals starting from the time the core arrives at our Facility ,If you have not received a core refund up to this time or after this time this may mean your core is not repairable and can not be used to rebuild. You can request the non rebuildable core be returned to you Return Shipping cost applies. Products we sell have either a Core Fee at checkout or Exchange , in either case we expect the faulty core returned in order to Activate your Warranty ,In some purchases you will be contacted after the purchase to complete the payment for the Core Fee, If you decide to opt out of the Sale , We will Refund you It is Important we collect this fee in order to continue to keep our Prices Low ,In order to continue to supply these parts to other Customers that also desperately need them, Once a similar Core is returned to our facility we will Inspect and then refund your Core fee payment . If a core is returned after the 15 Day core return request , the core fee will not be refunded ,the core will be used for Warranty activation Only , Please keep a copy of your return tracking number. ALL NON-REBUILDABLE PARTS THAT WERE SENT TO A.S.I. FOR REBUILDING AND LEFT FOR MORE THAN 30 DAYS FROM ARRIVAL DATE ,THEY WILL BECOME THE PROPERTY OF A.S.I. When returning a Product for Refund from a Repurchase a Pro-rated Fee will be incurred from any point after 15 Days of customer receiving the product, this is based upon the length of the original Warranty .